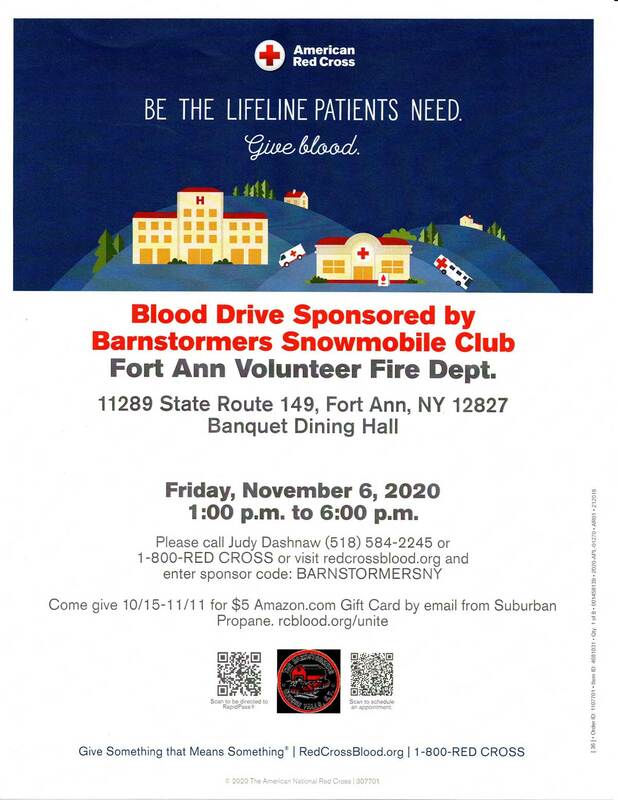 Recently several local businesses have stepped forward to become sponsors of the Barnstormers Snowmobile Club. The businesses listed have provided monetary funds to help defray the cost of maintaining the snowmobile trails in the Kingsbury and Fort Ann areas. 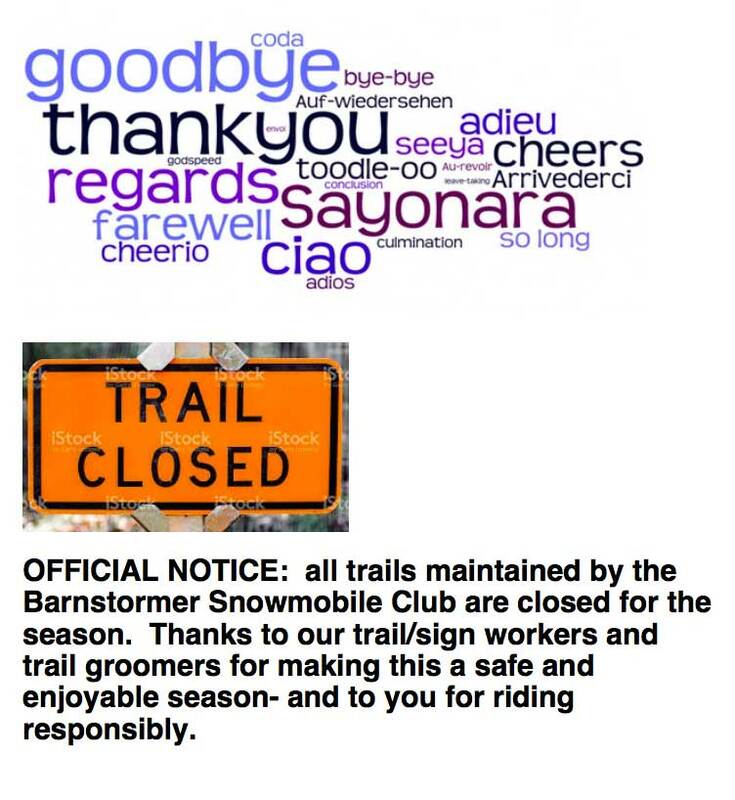 As you ride the Barnstormers Trails you may see our groomers with signs on them advertising the businesses listed. Please support them whenever possible.